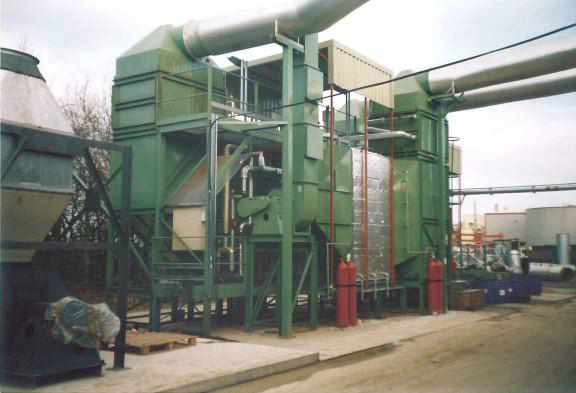 An Electrostatic Precipitator (ESP) is a highly energy efficient abatement solution for oily smoke fumes, using only 30 Watts/1000m3/hour, compared to an incinerator at 3KW/1000m3/hour. The oily fumes are usually generated at high temperatures and the ESP works at low temperatures. The Heat Recovery system required to cool the gases is a valuable source of income to offset the equipment cost. For more information about ESP, see our Case Study.